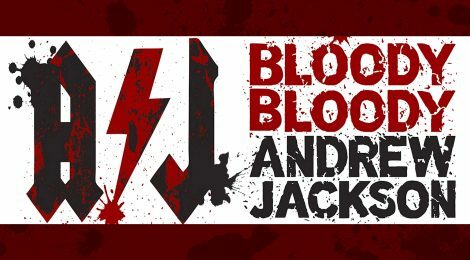 Open auditions for YPTMTC’s Spring 2017 Season of “Bloody Bloody Andrew Jackson” with music and lyrics by Michael Friedman and book by Alex Timbers. “Bloody Bloody Andrew Jackson” is a comedic historical rock musical about the founding of the Democratic Party. It redefines Andrew Jackson, America’s seventh President, as an Emo rock star and focuses on populism, the Indian Removal Act, and his relationship with his wife Rachel.